Meatballs are a great thing, be it in pasta, sandwiches or just by themselves, smothered in tomato sauce. Total love. Yet in the UK, I discovered the veggie answer to meatballs and was blown away. I was filming in Windsor castle for the day (a story for ZDF, on old photographs of the Queen), and we stopped for lunch at a prominent Italian restaurant chain. I wasn’t expecting anything exciting for lunch, maybe a pizza or lasagna, but then I came across this vegetarian item of ‘spinach polpette pasta’ – I was intrigued and ordered it. And I was met by a big plate of deep fried, yet pillowy spinach balls in a garlicky zucchini sauce, the whole thing topped with parmesan. It was totally awesome. So I obviously had to recreate the dish at home! And I was faced with some leftover spinach polpette, which then led me to this awesome recipe. 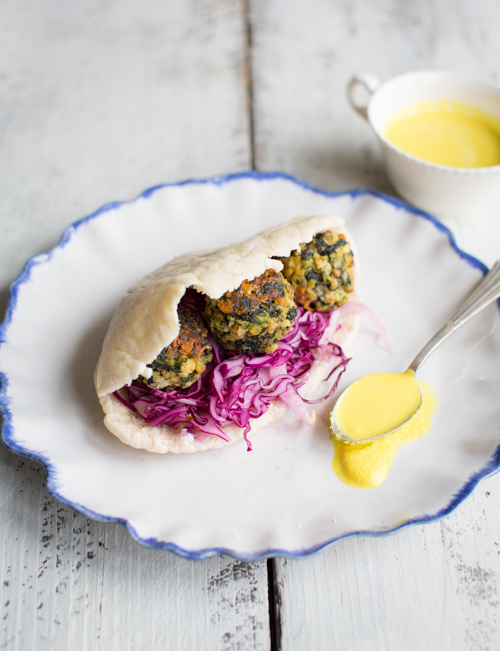 A soft pitta filled with these crispy spinach balls, a vegan cashew “mayo” (! yes, it tastes great!) and a summery red cabbage slaw. Perfect for a light lunch or dinner! Put the cashews for the mayo into a bowl and top with boiling water. Leave to soak for at least 15 minutes. Put the spinach into a large frying pan on a high heat and dry-fry until the spinach has wilted. Put into a sieve and squeeze out as much liquid as you can. Leave to cool. Once cool, roughly chop the spinach and put into a bowl. Peel and crush the garlic clove, add to the spinach and mix with the egg, breadcrumbs, nutmeg, parmesan and lemon zest. Season with salt and pepper. Roll little walnut-sized balls with the spinach mixture and put onto a baking tray lined with baking paper. Brush each ball with olive oil and bake in the preheated oven for 15 minutes until crispy. Meanwhile, make the slaw. Cut the cabbage and the fennel into fine slices, preferably with a mandolin. Put into a bowl. Grate the apple, trim and finely slice the spring onions and add to the bowl. 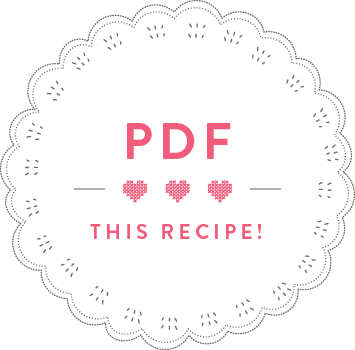 Add all the other ingredients and scrunch the salad with your hands – this will soften the cabbage. Set aside. Take the cashews out of the water and put into a blender. Add the turmeric, a squeeze of lemon juice and a bit of the soaking water and pulse into a paste – adding more water as you go along until you have the desired consistency (I like mine quite thick). Season with salt and pepper. 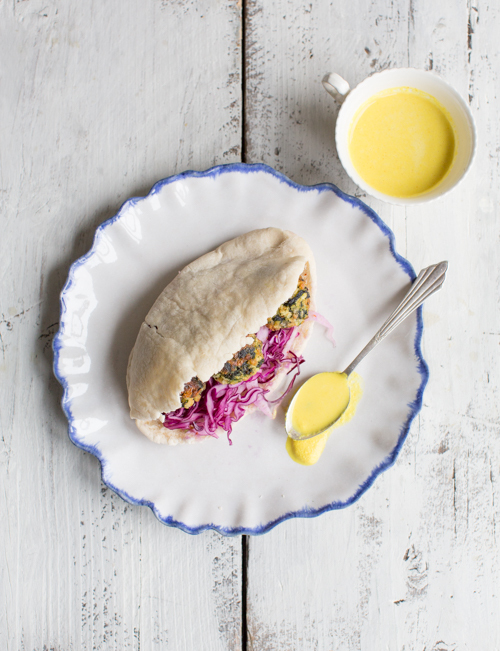 Briefly heat the pitas in the microwave until an air pocket starts forming. Remove from the microwave, slice open and stuff with slaw, three polpette and drizzle with cashew mayo.